The drugs gang, with a 'tick list' of drugs transactions amounting to �13 million, was sentenced to a total of 90 years in prison yesterday. A man from nearby Deanshanger has been jailed for 21 years for his part in a £13 million drug operation orchestrated by two drug lords from an Aylesbury Vale prison. Warwick Cobley, aged 46, of Northfields Close, Deanshanger, pleaded guilty to possession of cannabis, possession of cannabis with intent to supply and production of cannabis. A hydraulic press recoverd from a house in Deanshanger. He pleaded not guilty to further charges of conspiracy to supply cocaine and possession of heroin, cocaine and cannabis with intent to supply. He was found guilty at trial and sentenced to 21 years in prison. Meanwhile Blake Ross, aged 46, of Kingsfold, Bradville, Milton Keynes, pleaded guilty to possession of heroin, cocaine and cannabis with intent to supply. He was sentenced to seven years in prison. In total, the gang were sentenced to 90 years and six months in prison. Two drug lords who ran a £13 million operation to supply cocaine while they were in prison have been sentenced to a combined total of 34 years in jail. A cash jar seized froma home in West End Road, Ruislip. 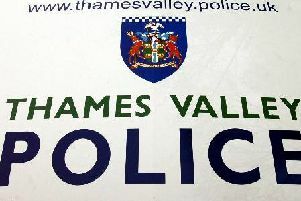 Kevin Bell, aged 33, and Anthony Delima-Bey, aged 32 were in an open prison in Aylesbury Vale when they were renewing ties with their criminal associates and continue their drugs enterprise. Northampton Crown Court heard both men were coming towards the end of their sentences at HMP Springhill at the start of 2015 and being let out on day release, the aim being to allow them the opportunity to find work and reintegrate back into the community. But Bell and Delima-Bey were actually exploiting these opportunities to talk to fellow members of a drugs gang including seven people, three who lived in Northampton. Bell pleaded guilty to conspiracy to supply cocaine and was sentenced to 12 years in prison. Delima-Bey, of West End Road, Ruislip, also pleaded guilty to conspiracy to supply cocaine. He was sentenced to 22 years in prison. Paul Pierson, aged 36, of Ganymede Place, Hemel Hempstead, Hertfordshire, Zoltan Arva, aged 39, of Spur Close, Abbots Langley, Hertfordshire, and James Bell, aged 32, of Lark Rise, Northampton, all pleaded guilty to conspiracy to supply cocaine. Pierson was sentenced to ten years in prison, Arva to eight years and James Bell to four years. Nicole Abrams, aged 28, of Windflower Place, Northampton, pleaded not guilty to conspiracy to supply cocaine but was found guilty by a jury. She was sentenced to four years in prison. Michael Bell, aged 34, of Chaucer House, Chaucer Street, Northampton, pleaded guilty to being concerned in the supply of cocaine. He was sentenced to two and a half years in prison. Delima-Bey worked with Paul Pierson, using Zoltan Arva as a courier to supply drugs to Kevin Bell and his two cousins James and Michael Bell (brothers), Warwick Cobley and Kevin’s girlfriend, Nicole Abrams. During the investigation, officers arrested James Bell following a car chase. He was caught with 500g of cocaine with 78 per cent purity. Zoltan Arva was also stopped in a separate car on the A45. A bag was seized from the boot of his car, which contained £21,020. A search of Delima-Bey’s house in West End Road, Ruislip, revealed £14,300 in £50 notes, £4,980 in £10 and £20 notes, three Rolex watches with a combined estimated value of over £26,000. A glass jar with £5 notes amounted to £4,255 while two wraps containing 1.7g of cocaine with a 44 per cent purity were also found. The search also revealed pieces of paper wrapped in cling film. The paper contained a tick list with names and numbers, believed to be a dealers list. There were high-value amounts on the list with the largest value being £969,000. Police drugs expert testimony revealed that the tick list referred to debts amounting to £13 million. During a search of Warwick Cobley’s home in Deanshanger, officers recovered a hydraulic press – the plates had traces of cocaine and tetramisole – used as a cutting agent - on them, and electronic scales which were found to have traces of cocaine, heroin and amphetamine on them. Blake Ross worked with Cobley. Following Cobley’s arrest, Ross booked into a hotel close to Cobley’s home. A search of Ross’ hotel room revealed heroin, cocaine and cannabis. Detective Chief Inspector Steve Durrant, who led the investigation, said: “Both Bell and Delima-Bey showed contempt for the criminal justice system and a flagrant disregard for the trust and privileges afforded them by running drug supply networks from within prison and while on day release. “We worked closely with HM Prison Service and the Crown Prosecution Service in this investigation. These convictions and sentences are a result of joint efforts and collaborative working.